Congratulations to the companies selected for the Digital Mission to Shenzhen, China 2014. Please see below for the companies attending. If you'd like an introduction, or want to arrange a meeting in China or Hong Kong, or perhaps host the group whilst we're there, please drop us a line. 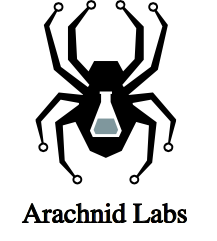 Arachnid Labs is a startup electronics company making tools and kits for electronics hobbyists. It is a one-man operation based out of London, UK. The man behind the wheel is Nick Johnson, who you may know from his regular hack-a-day apperances for projects like iZac the Android Bartender, the stackable motor shield, the circular sand plotter and the advice machine. We focus on making tools available to hobbyists that would otherwise be out of their reach, such as our flagship product, the Re:load, a high quality constant current load. Bare Conductive is a design and technology start-up founded in 2009 by four graduates from the Royal College of Art and Imperial College London. The Company focuses on the development of accessible platforms for people to design, prototype, and get creative with technology. Our latest product, the Touch Board, recently raised over £122,000 on Kickstarter and has been nominated for the Digital Design of the Year Award by the Design Museum. Through the development of innovative materials, electronics kits, and sophisticated hardware, Bare Conductive combines design and engineering to make products that are useful for beginners and experts alike." Crowdrooster is the new place to crowdfund tech products. From wearables to home tech everything we own is about to be reforged and become part of the Internet of Things. The Maker Movement, a passionate army of modern inventors, is out there right now working to unleash this wave of reimagined products. That Maker army deserves a product focused funding platform and the public needs an 'all tech' marketplace to find the most innovative gadgets. Based in London’s extraordinary Makerversity, a huge new makerspace in the historic Somerset House, Crowdrooster will be launching in the first week of April 2014. IKAWA means “coffee” in Burundi, Africa. IKAWA’s aim is give coffee drinkers better tasting coffee whilst increasing the incomes of smallholder coffee growers. To make this system work we have designed and patented the world’s first digital micro roaster, a machine that makes it easy to roast coffee perfectly and get professional results. Lighthouse is a digital culture agency based in Brighton. We support, commission and exhibit work by artists and filmmakers. Lighthouse creates vibrant, inspirational programmes that show how important artists and filmmakers are in a changing media landscape. We present in our own venue in Brighton and beyond, nationally and internationally. In the past 18 months, we have presented or co-produced solo shows by David Blandy, The Otolith Group, Kutlug Ataman, Semiconductor, Iain Forsyth and Jane Pollard, Lynette Wallworth, and Trevor Paglen. We have also shown work by Blast Theory, Invisible Flock, Rafael Lozano Hemmer and over two dozen other artists. Lighthouse manages the high-level production scheme, BFI Shorts, in collaboration with the British Film Institute and runs Guiding Lights, the UK’s leading mentoring programme for filmmakers. Lighthouse Studio is our new interdisciplinary space for residents from the fields of digital culture and art, design, technology, science, film and the wider creative industries. The studio nurtures the research, development and production of new work at the intersection of these different sectors, and to encourage interdisciplinary collaboration and exchange of knowledge, skills and ideas. Music Thing Modular is the hardware wing of the successful music technology blog Music Thing, which ran from 2005-2009 and attracted over 4 million visits. MTM produces open source, Creative Commons licensed designs for electronic musical instruments. Our first designs have been components for modular synthesizers; the Turing Machine sequencer, a range of expanders for that sequencer and a Spring Reverb module. The designs are built to facilitate distributed manufacturing; a series of digital files are published which can be used to manufacture printed circuit boards, fabricate front panels or order parts. A number of other companies have made use of the Creative Commons license to manufacture modules and sell kits. Patchblocks puts digital creativity in your hands: software patching goes hardware! Patchblocks are affordable, battery powered and easily programmable with a visual programming language. Beginners can create their own instruments with Patchblocks while being given the freedom to explore the worlds of software programming, hardware hacking and digital music performance. Learn and share online by being part of the Patchblocks community. You can connect Patchblocks together like Lego, or plug them into a sound system using standard audio cables. The flexibility and ease of use is attractive to educators, artists, hackers and hobbyists. Pimoroni want to encourage everyone to tinker. To not feel scared of technology. To understand what's inside the gadgets they use, and how they can make their own interesting creations. To do this Pimoroni have created an agile manufacturing company in Sheffield, UK using Maker ideals. They emphasise making things that are joyful and interesting to encourage education and passion in Making, Raspberry Pi and Electronics for those of all ages. They created the Pibow case for Raspberry Pi (90k sold), the UKs 1st Kickstarter, the Picade and started a spended shop for new Makers. 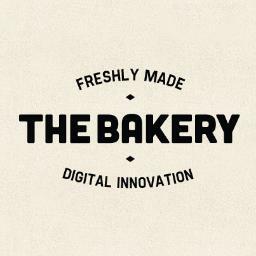 The Bakery is a dedicated workspace and Accelerator Programme designed to introduce great new technology from all over the world to large brands and their advertising, creative and media agencies. If you are at all interested in new marketing technologies, you should be talking to us! Triggertrap Ltd was founded in 2011, and was brought to life through crowdfunding site Kickstarter. Based in the UK, the company’s flagship smartphone-based camera triggering solution, Triggertrap Mobile, has been downloaded more than 750,000 times and is in use by thousands of photographers in more than a hundred different countries. In October 2013, Triggertrap launched its second Kickstarter campaign to raise funding Triggertrap Ada - an infinitely-expandable modular camera triggering system for high-speed photography - which raised over £290,000 ($475,000) and became one of the UK’s 10 highest-grossing Kickstarter projects of all time. For more information, please visit www.triggertrap.com / @triggertrap or contact hello tri [dot] gg. To meet the Digital Mission companies, check out the public events on the Digital Mission China 2014 Programme. Keep track of all things Digital Mission, follow @digitalmission and subscribe to the Digital Mission newsletter.